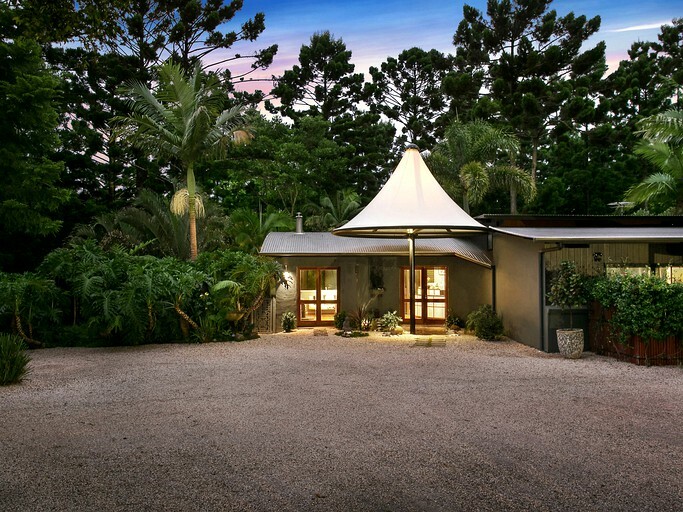 Nestled on a stunning, five-acre, forested property on the edge of Byron Bay, this is one of New South Wales' most unique accommodation getaways. This Japanese-inspired property has been designed with stunning architecture using unusual angles and stylish appointments. The king-size and queen-size rooms have been inspired by ancient Japanese Shoji screens with special Japanese touches. 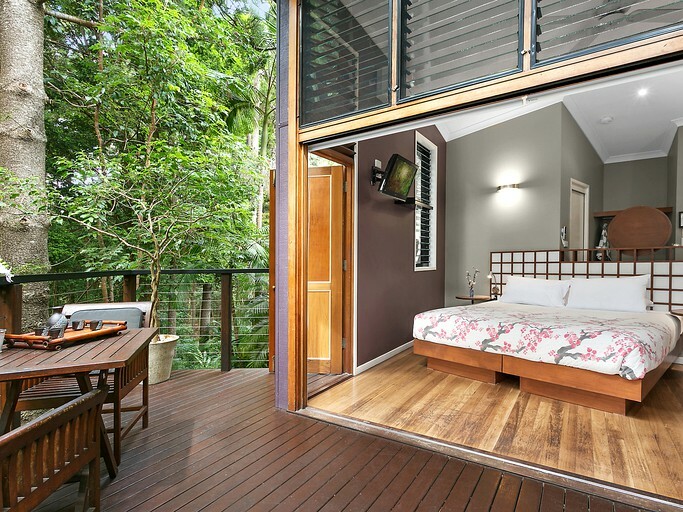 French doors in each room open out onto a private balcony with stunning forest views. 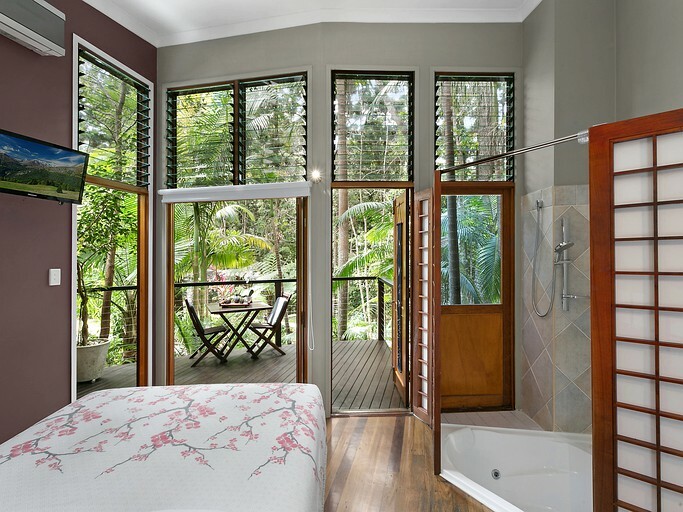 King Room: The king rooms feature a stunning, Japanese-inspired king-size bed, as well as a shower, a toilet, a vanity, and a private balcony that overlooks the natural hoop pine forest. These rooms do not include a spa; however, there is an outdoor spa bath next to the pool. Queen Spa Room: The queen rooms feature a stunning, Japanese-inspired queen-size bed, as well as a sunken corner spa bath tub, a toilet, and a vanity. Guests are also most welcome to use the outdoor spa bath next to the pool. 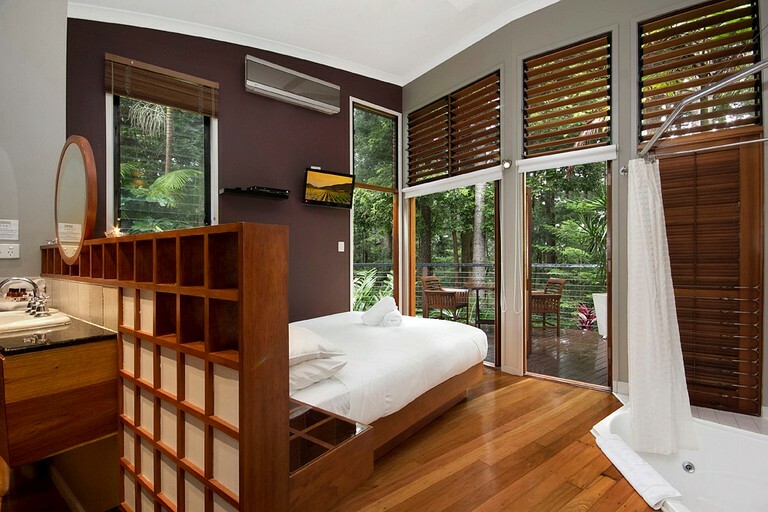 Each room has incredible full forest views. 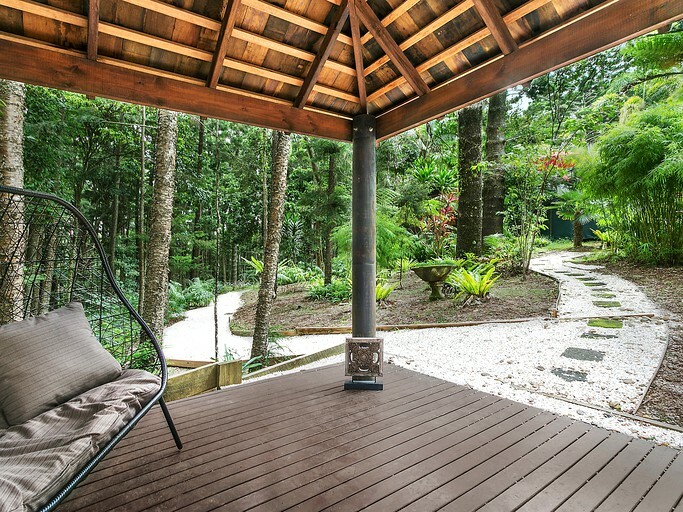 The glamping accommodations in Byron Bay, is influenced by Japanese architecture. 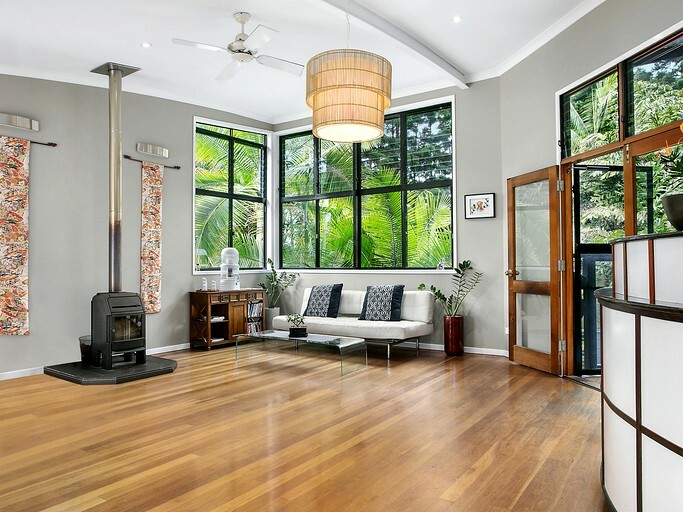 The extra touches, such as shoji screen styled timber paneling, polished floorboards, and large windows invite natural light to filter in throughout the day and really enhance the forest retreat experience. 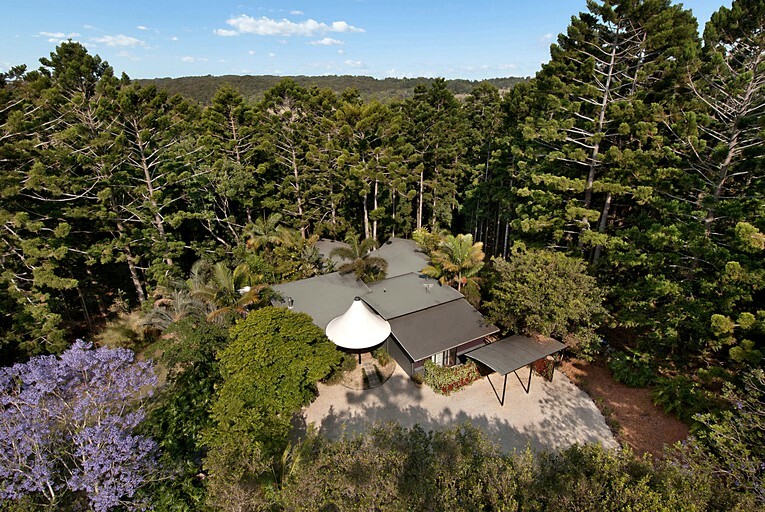 Double doors open onto a private balcony overlooking the lush native hoop pine forest. 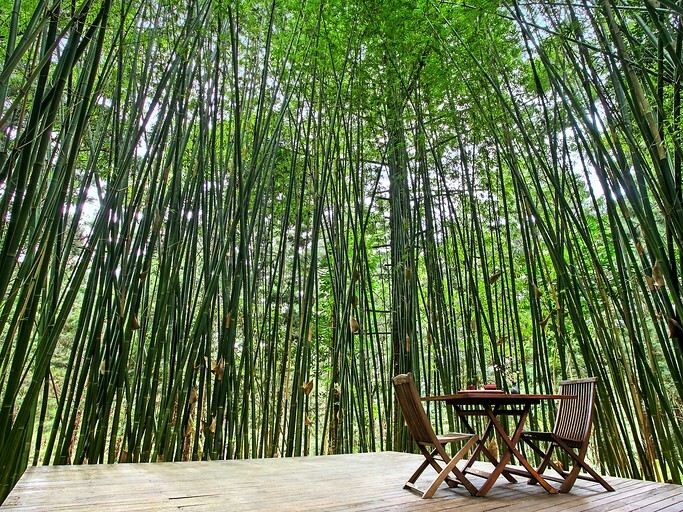 Individual trees can grow up to 60 meters in height and are able to live for up to 450 years. The rooms are fully equipped with tea and coffee facilities, split-cycle air-conditioning & heating, bathrobes, bar refrigerator, LCD television, and DVD players. 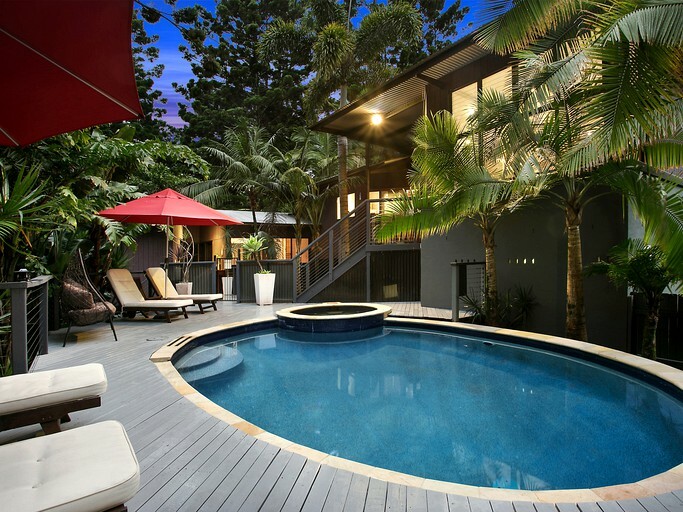 There is also a pool and a pool to relax, and take in the sounds and sights of the natural surroundings. Breakfast is included in the price. There is an iron and ironing board available to borrow for convenience. If a cooked breakfast is exactly what is needed on a morning and guests want to make the most of the day, grab a voucher on them and head down to one of Byron’s favorites, the Byron Beach Cafe, with its million dollar view of Byron Bay’s famous surfing beach. 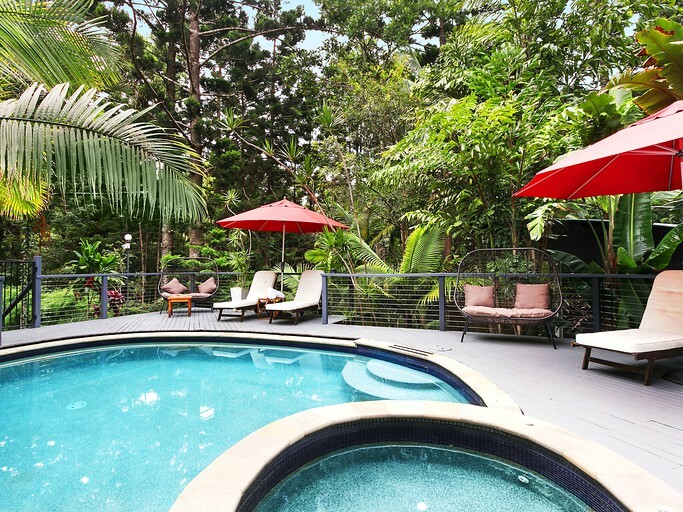 This guesthouse is only a five minute drive into the heart of Byron Bay, which has something for everyone. 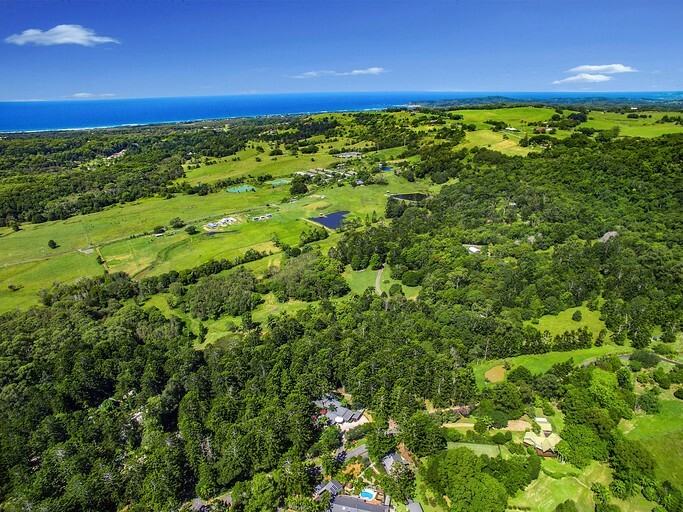 Byron Bay is a world-renowned holiday destination, perfect for an unforgettable getaway where guests can spend the day surfing and swimming, shopping, people watching, enjoying a nature walk in the hinterland, or dancing in one of Byron’s best nightspots. Guests can find local hand made products, gifts, or some of Australia’s top fashion designers in Byron’s exclusive boutiques. Once guests have emptied their wallets and have lots of shopping bags, why not try some of the Byron’s delicious café’s and restaurants with a large selection of local produce and organic options. 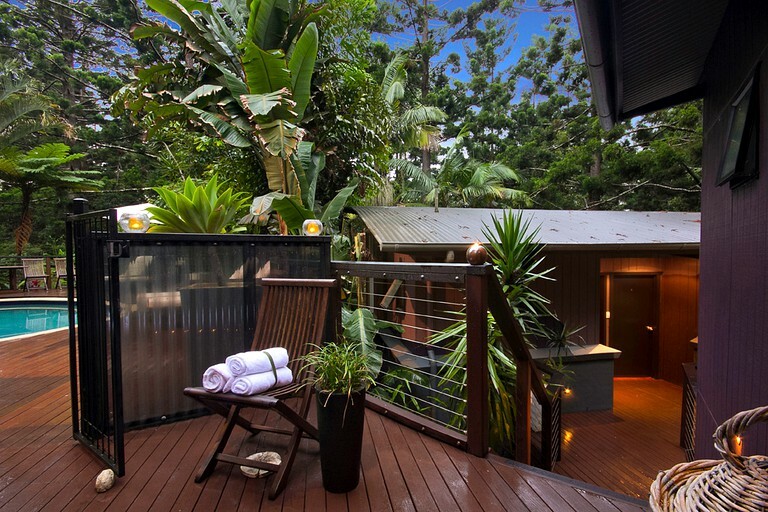 If glampers feel like having a night-on-the-town why not try mingling with the locals at the famous Byron Bay Beach Hotel, with its live music and party-vibe, or sipping cocktails in one of Byron’s many bars. Rooms are serviced daily. The room service includes; bed making, rubbish removal, and towel replacement if required. Amenities will be replenished upon request. Guests are welcome to request any additional items needed from the front Reception between 08:30 and 16:00.